Hello and welcome to my blog. Today I have another card from the Holiday Catalogue swap I participated in. 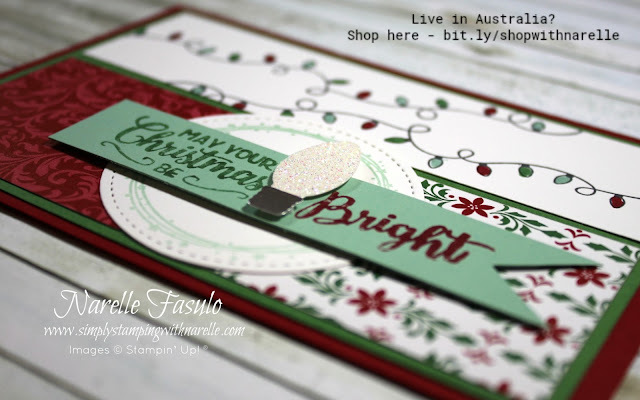 This card is from Adele Smith, a demonstrator friend in NSW. 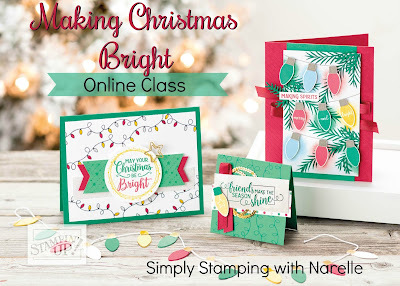 Adele has used the very popular Making Christmas Bright product suite. Everyone loves the coloured lights at Christmas. Many families adorn their houses with lights and many more spend countless hours driving around looking at them. It's one of the things I think about when I see this product suite.